The name of the hostel is an acronym that stands for "Cheap and Chic Lounge for Young People" and sounds like "Sicily." Our hostel is housed in a central building of the nineteenth century. and is among the most elegant of the city. Set in a strategic point, just 5 minutes walk from the train station and bus station, and 10 minutes drive from the airport. 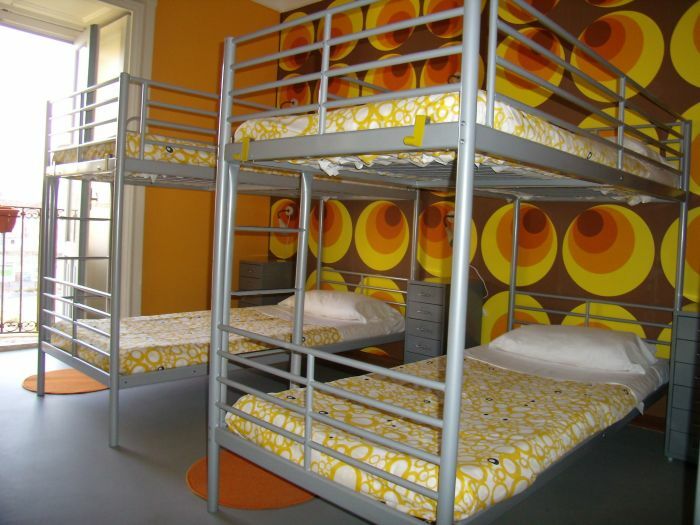 The hostel has 24 beds available with air conditioning and all comfort. There is also ample space for guests in town. 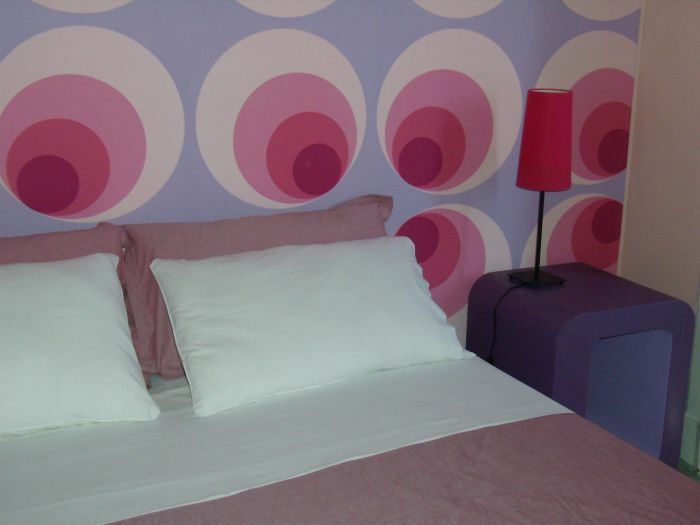 Our hostel is the ideal place to spend your holidays allìinsegna comfort and fun. On the whole city then dominated by Mount Etna, the first of Europe's largest active volcano. It is from this volcano named after the famous Via Etna, shopping center, where you can stroll admiring the nineteenth-century palaces in the Baroque style, and if you look up towards the end of the street, you can also see the volcano. Along the Via Etnea you arrive in Piazza Stesicoro, with its impressive Roman Amphitheatre, which you can see a small part, because the rest lies beneath the modern buildings. Also here you can admire the statue of Vincenzo Bellini, Catania, famous musician, famous worldwide for his works, one of these "standard". Then going a step further to get to the Garden Bellini, recently renovated, where you can find in old trees and large gathering spaces. All in the outline of a beautiful Sicilian Baroque style that characterizes the city of Catania. 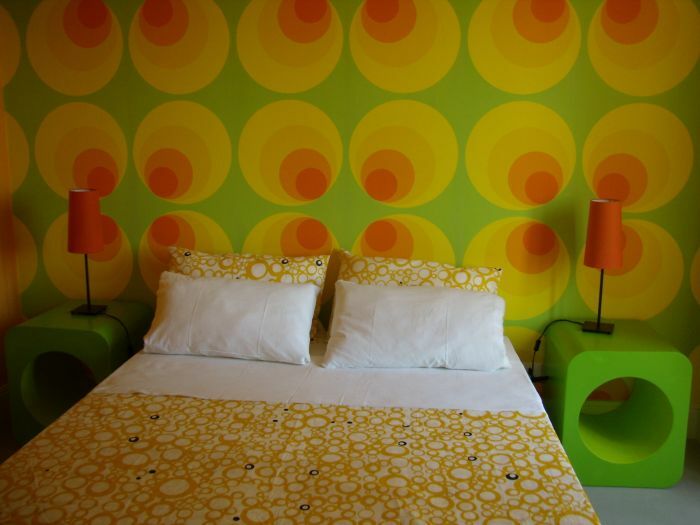 The Desing by us is kept, '60s, modern pop art. 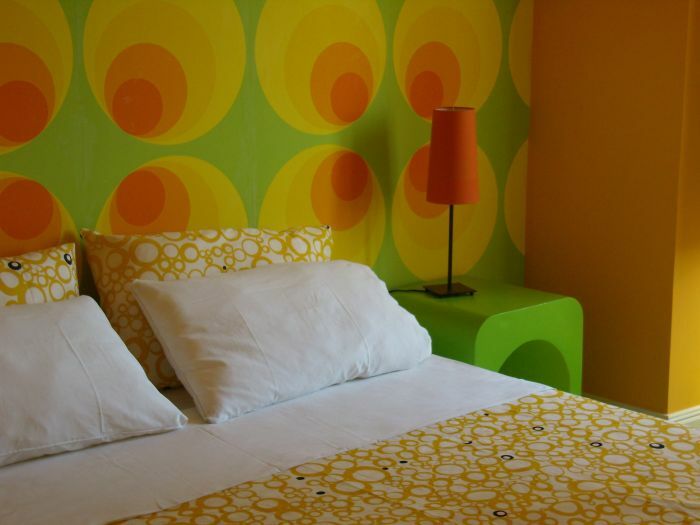 The colorful and modern style gives our hotel a touch of personality and joy. 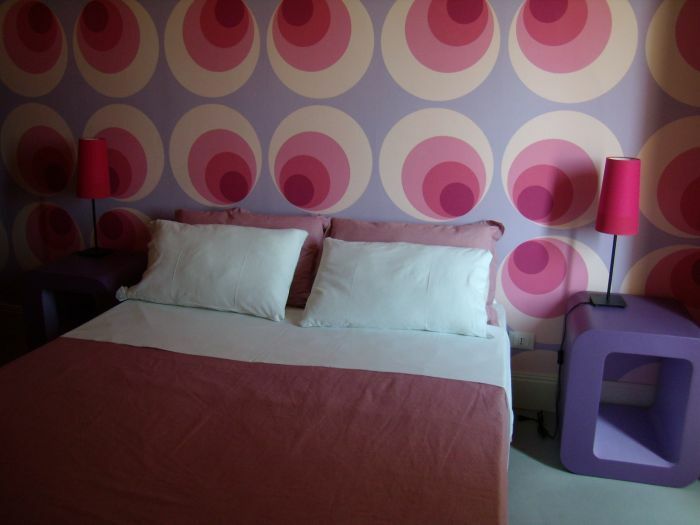 Double or triple rooms with private bathroom and TV, furnished with care and accuracy and style with every comfort. 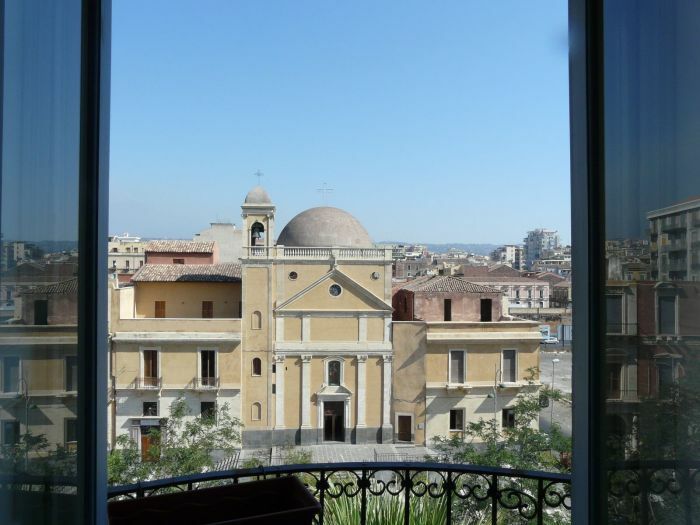 All rooms are also equipped with air-conditioning cold / hot air and have a balcony with sea view and Mount Etna. For those who like to explore on foot there is no better place, because in a few minutes to reach the most important tourist destinations such as the Piazza del Duomo, with its characteristic "Elephant", built in lava stone. Are kept in the Cathedral where the relics of St. Agatha, patron saint of the city. And again the famous fish market, also known as "Fish", where you can find local products and where you will be invested by tradition and folklore. From here a few minutes you can reach the Ursino Castle, the summer residence of King Frederick II of Swabia. Then you can reach the famous Via Crociferi where you can admire the most beautiful baroque churches. From here set out on their impressive climb of San Giuliano will arrive in Piazza Dante, where it rises, majestic, the Benedictine monastery and the Basilica of San Nicola. And you'll come back to Piazza Duomo in the wonderful Greek-Roman theater, which takes its name from the fact that the Romans built on the foundations of their previous greek theater. Dall'Aerporto (Fontanarossa / Bellini) take the 457, you will be in Catania in 10 minutes, the bus stop where you must go down is to "Catania Central Station." Once off take "Via Marchese di Casalotto" which is located opposite the station on the left. After 3 / 5 minute walk you will arrive in Piazza Giovanni Falcone. " The hostel is located in front of a church. From the bus station deli must take "Viale Martiri della Libertà", and the intersection with "Via Francesco Crispi" turn left, 50 meters, and will arrive in Piazza Giovanni Falcone. "